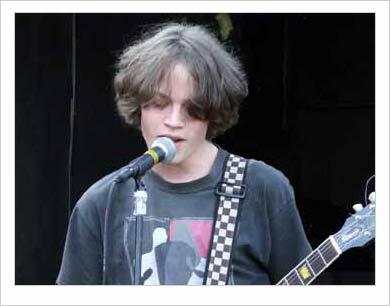 Seb started learning guitar at the age of 7 and began performing live just a year after this, when he played his first gig with two mates in front of the school year. Since then he has been involved with a number of other bands mostly playing originals and always making the most of any gig opportunities. He began playing lead guitar for HTFib in April 2007 to help complete their album 'Something Else', and gigged with them for the first time at the Wivvy Beer Fest that summer.